Initially a post office was set up for troops in Quebec Barracks. 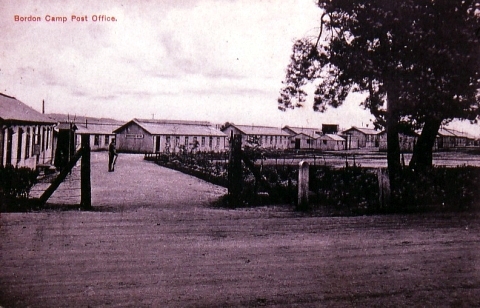 One of the huts was used and this can be seen as the middle hut in the picture of the barracks. In 1908 as the number of troops increased in the area, the post office moved to a bricsk building on the other side of Camp road and is used today as the sorting office. 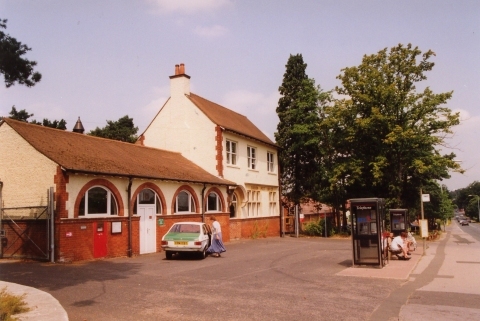 The original name was Bordon Camp Post Office, but as the town grew this was altered to simply Bordon Post Office.. The original ;letters were used to change the name and the word camp can still be seem underneath.